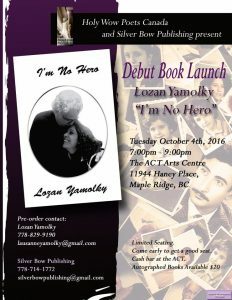 I’m No Hero Book Launch by Lozan Yamolky! Ariadne’s Notes: On September 29, 1PM, the World Poetry Café Radio Show, CFRO, 100.5 FM, with producer and host, Ariadne Sawyer and co-host Neall Ryon, super engineer, Victor Shartzman and volunteer Sharon Rowe were honoured to have the first ever book launch on the air! I’m No Hero by Lozan Yolmolky is superbly written with heart rending truths describing the pain and joys of life. Published by Silver Bow Publishing 2016. Be sure to go to her book launch! She wrote poetry as early as preteen years but fear of being judged/ ridiculed by peers & siblings she stopped writing or would throw poems away. 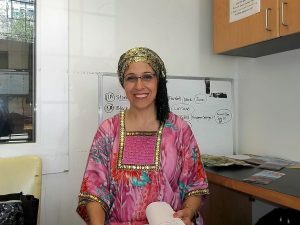 Her uncle (poet, musician, singer & songwriter) inspired her to not stop writing after found her one day folded up crying. He listened to her read one poem she was about to throw away & he was so pleased and begged her to never ever destroy her poems anymore. He offered his house for a safe place to hide her poems. 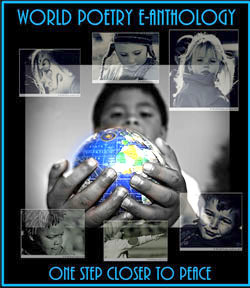 World Poetry would like to congratulate her on the new book! http://www.kurdistan24.net/en/news/c092324a-7641-42e4-bcd2-30e207a45886 Source: A review and poem from Kurdistan 24. This entry was posted in General and tagged Author Sharon Rowe, International Peace Award Ariadne Sawyer, Lozan Yamolky, Neall Ryon, Victor Schwartzman on October 4, 2016 by Ariadne.